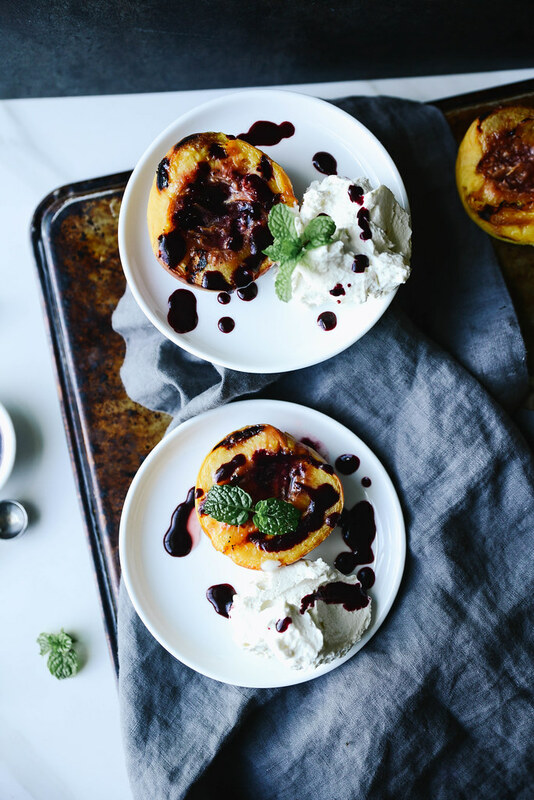 Well, it may not be peach season, but this recipe would be equally yummy with pears so I thought I would go ahead and share. Plus, my goal for this year is to actually share more of the recipes I create and write down so I figure I should just start now versus waiting for the later. While I love to bake cakes, muffins and goodies, my son is not a huge fan of baked goods. He seems to prefer custards and fruit desserts. Fresh fruit, preferably in season, always makes an easy go-to dessert and often travels well if you are on the road. The whipped cream can be made a day in advance, but it is best enjoyed fresh. 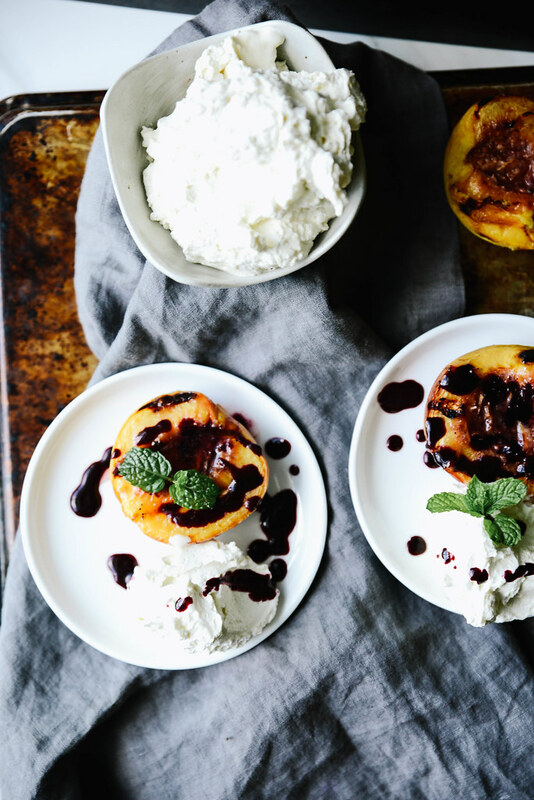 We also love eating a bowl of fruit topped with this creamy, rich whipped topping. Essentially, this whipped cream is a probiotic yogurt that is packed with healthy benefits for your body. Probiotic foods are made through the process of fermentation. As bacteria chemically alter the food, in this case turning the heavy whipping cream into yogurt, they secrete enzymes, organic acids and proteins. Some of the potential health perks of probiotics may be due to those compounds. Benefits of yogurt and fermented foods include: healthy digestion, increased bone density which may help prevent osteoporosis, boosts the immune system, reduces high blood pressure, reduces bad cholesterol and may help treat chronic pain and brain-related illnesses. 2. Grill until soft and tender. 3. Remove from the grill. 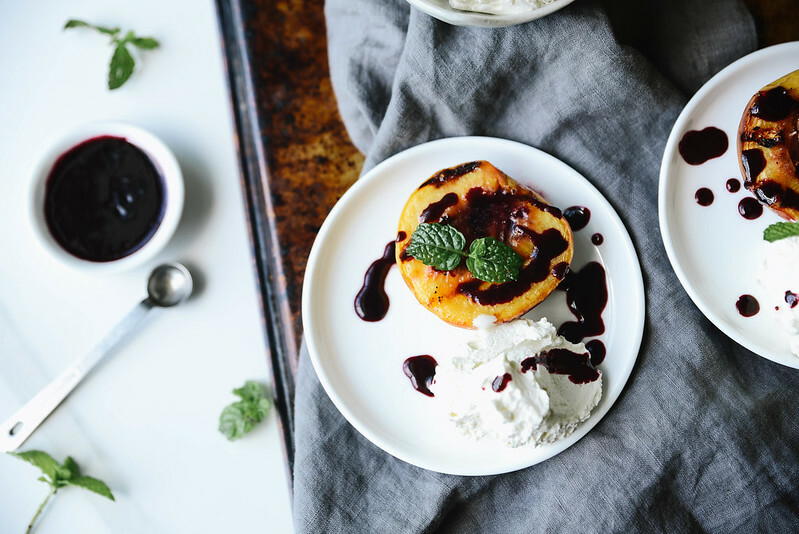 Plate up by placing 1/2 peach on each plate, top with the prepared whipped cream and then drizzle with the blueberry reduction. Garnish with basil. 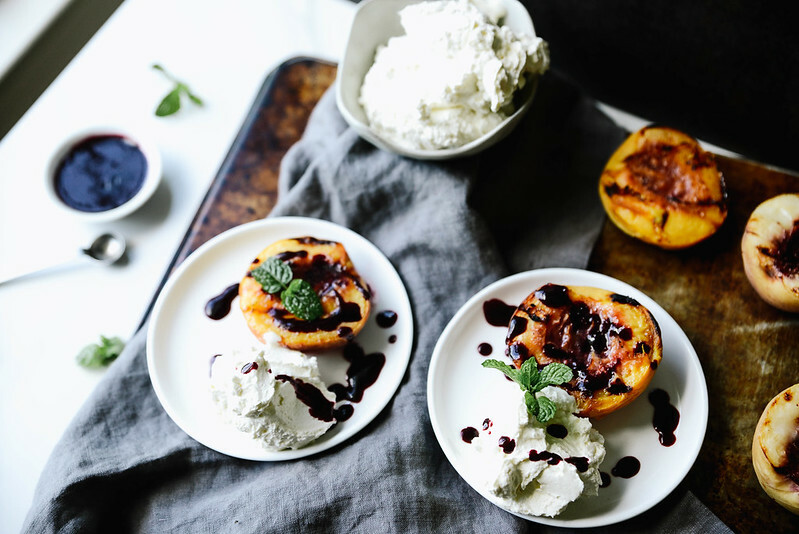 **Make sure to make the blueberry reduction and whipped cream in advance. See directions below. 1. In a Vitamix or blender, mix the water and blueberries. 2. Add the blueberry mixture, honey and red wine vinegar to a sauce pan. 3. Bring to a boil; lower heat and gently simmer until thickened. * You don't have to use the blender, but I wanted a smooth sauce versus a thick and chunky blueberry sauce. 1. Heat the cream over medium heat and watch closely as it reaches 180 degrees. 2. Remove from heat and cool to room temperature. 3. Mix 1/2 cup of the cooled milk with the yogurt starter until it is thoroughly combined. Add the rest of the milk (cream) and stir well. 4. Transfer to your yogurt maker and allow to ferment for 24 hours. Place in the refrigerator and chill until set, I usually do this overnight. 5. Once chilled, add the cream to your standing mixer. Add the honey and vanilla, beat until soft peaks form and it is the consistency of whipped cream.